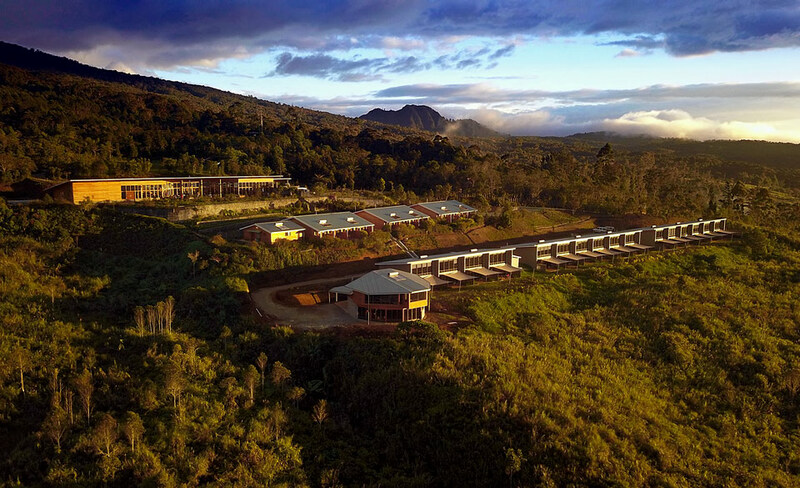 Rondon Ridge Lodge, overlooking the Wahgi Valley, has a commanding view over the township of Mount Hagen and is located at 2,100 meters above sea level in the refreshing Papua New Guinea Highlands. 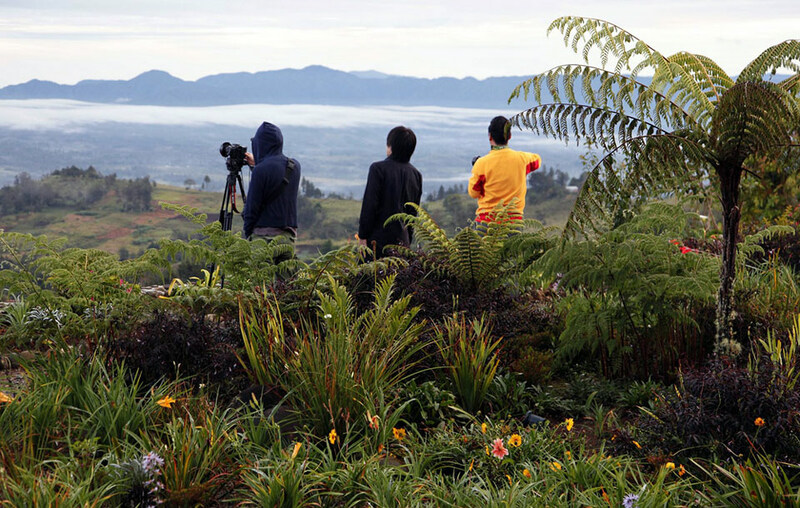 Rondon Ridge is perched high on Kum Mountain, at 7100 feet above sea level in Western Highlands Province of Papua New Guinea. A new road is being constructed from the township of Mount Hagen to Rondon Ridge. This road when completed will reduce the travel time from Mount Hagen to Rondon Ridge to about 12 minutes. About 75% of the earthworks have been completed and the planned completion date is December, 2019. The base of the mountain is located about three hours drive from Rondon Ridge and Mount Giluwe is one of the 7 volcanic summits. It is the highest volcanic peak on the Australasian plate and Mount Giluwe is also PNG's second highest mountain. Treks can be arranged to the summit of Mount Giluwe as well as other less adventurous treks that can be done in the near vicinity of Rondon Ridge. These local treks can go past the orchid garden and up through the cloud forest to where the Birds of Paradise live. Guided Birding Tours can also be arranged from the lodge on well groomed trails that climb through the mountain rainforest.